I know what you're thinking. But Single Girl 1.0, everybody counts calories. Yes, I realize that fat girls count calories, and skinny girls especially count calories. But I do believe that single girls are way more diligent with counting calories than non-single girls. I mean, let's face it, couples who eat together stay together. How often have we seen a non-single counterpart let herself go once she was in a satisfied and secure relationship? Exactly. Don't even get me started on those pregnant girls. I've seen those silly applications for iPhones that keep track of calories for you. Whatever. Single girls have been mentally counting calories since we gained the freshman 15 in college. Despite the fact that I only studied up to linear algebra my sophomore year, I have calorie counting down to a science. My internal calorie counter functions like the quadratic equation (take THAT, b-squared minus 4ac). Single girls don't gain weight and we don't "diet" - because we are counting calories ALL THE FRIGGIN' TIME. Some people count sheep before bed, we count calories. 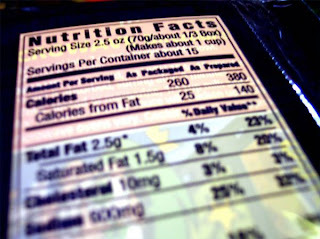 We know that calorie counting is not just beneficial to our bodies, it also sharpens our math skills (ie. adding calories, multiplying servings, subtracting burned calories), memory retention (ie. what have I eaten already, what is my current calorie count, how many calories have I already burned) AND foresight (ie. what should I avoid eating, how many calories will I burn walking around the mall for an hour). An example. Let's say I am allowing myself to eat ordering lunch today. For the sake of simplicity, I am having my favorite meal at Chick-fil-A: a Chick-fil-A chicken sandwich (on a golden wheat bun, no pickle) with honey roasted BBQ sauce (one packet), waffle fries (size small) with three ketchup packets, and a Diet Coke (size small). Already in my head, I am thinking 430 + 60 + (280/2 [I am sharing the waffle fries with a friend]) + (3*10) + 0 (yay, Diet Coke) = 660. And because I ran six miles this morning (100 calories burned per mile = 100*6 = 600 calories burned) AND skipped breakfast (zero calories consumed), I have really only consumed 660 - 600 = 60 calories for the day.